Once you have finished adding items to your shopping cart and are ready to complete your transaction, move your cursor to the lower-right corner of the screen and click on the “Checkout” button. You will then be transferred to our secure server.If you choose to do so, our site will maintain on file, your shipping information as well as your payment data so you do not have to fill out this information each time you visit our secure server. You will also have the ability to view your complete history of purchasing made at Edgars Online Site. If you decide you want to cancel your order, then you must call the Customer Service Centre on 0800 203 925 as quickly as possible! During processing, it may be possible to cancel your order, but once it moves to the shipping process, and if it has already been dispatched, it cannot be canceled. The Customer Agent will check the processing status of your order, and advise the steps towards cancellation. Please write, e-mail, or phone our Customer Service department with your changes at least two weeks before you move. In your correspondence, include your old address and new address. To contact us, please see our customer service information at the top of this page. Thank U account cards (Edgars, and Jet) are accepted as a means of payment. Click here if you would like to apply for an Edgars account. Yes, we do accept debit cards, exclusions are Maestro Card and Electron Visa Cards. Do you accept bank transfers (EFTs)? No, we do not currently accept bank transfers; however we are working on a solution to enble EFT’s. We use a secure payment gateway (the URL which changes to https: and a padlock is visible on the bottom right of the screen). We do not retain credit card numbers. First time users of Edgars account cards (Thank U card) go through a verification process so that we know that it is you using your card. What is the procedure to follow when using my Edgars account card to make a purchase on the website? You will be requested to link you Thank U card to your online profile. You will be requested to enter your Thank U card number, your mobile number and your network provider. If the mobile number matches the mobile number that is currently linked to your account number, then you will receive an sms with a One-Time Pin (OTP) to verify your cell phone number. You will be successfully registered on the website when you enter the OTP on the website. If the mobile number does not match the mobile number that is currently linked to your account number, you will then be requested to enter your Edgars account number (the number that appears on your monthly statement) and your ID number. Your card will then be linked to your online profile and you will be able to purchase online. I’ve got a voucher, how do I redeem it? When you have logged in, finished choosing your products, and clicked on "Proceed to checkout", the Checkout page will give you an option to enter discount voucher. Tick the “I have a voucher” checkbox and enter the voucher code with no spaces. Click “Apply voucher code” and the purchase amount will be decreased by the amount on the voucher. How do I earn Thank U Points? If you’re paying with a Thank U account card, you’ll automatically earn points on all your purchases on the site. If you’re paying by credit card and have a Thank U card, you’ll need to enter this card number on the Checkout page in order to earn your points. If you don’t see your points reflected immediately, don’t worry. Remember that your points will a few days to reflect. Can I spend my Thank U points online? No, unfortunately at the moment, you can only earn points online, you won’t be able to spend the points online. However, you are able to spend your Thank U points you earn online at any Edgars, Edgars, Red Square, Jet, Legit or CNA stores. Depending on where your order is going, deliveries will take between 3 – 5 working days. Where unforeseeable delays and out of stock situations occur, every reasonable effort will be made to inform you if we believe there will be a substantial delay in your delivery. 3. What happens if I am out when you deliver? 5. What if my order arrives damaged? If you realize that the package is damaged before accepting the delivery, please do not accept the delivery and immediately inform us. If you have accepted the delivery, and then realize that the package is damaged, please contact us immediately on 0800 203 925 or mail us on Click Here. 6. Can I change my delivery /shipping address, how do I change it? If you have ordered and intending to change the address after ordering, note that you can change your delivery/shipping address only if your order has not already been dispatched. Otherwise you can contact our Customer Service centre on 0800 203 925 or mail us on Click Here. 7. How do I track my order? We acknowledge our customers’ queries regarding the price tags on promotional items in certain Edgars stores. After a thorough investigation and due consideration, we have embarked on a process of improving how we tag our products going forward. 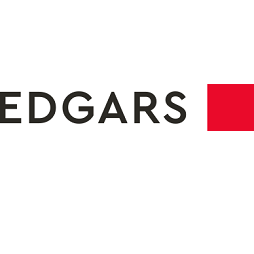 Based on queries raised in social media, Edgars has created a ‘Frequently Asked Questions’ section on our website to explain why some products may undergo price changes. Please refer to www.edgars.co.za/FAQs and click on ‘Edgars Pricing’. We apologise for the fact that price tags on some of our promotional items have been unclear, with varying price points visible. This has been due to human and process errors and was unintentional. From the 3rd September 2015, Edgars is launching a ‘Guaranteed 75% Off’ sale on millions of items nationwide. Although there might still be a small proportion of price tagging issues, we can assure our customers that this unprecedented discount will be honoured at our till points. Edgars has a legacy of delivering the best possible value to customers through our promotions, and we are committed to this objective going forward. Why do some products in our stores undergo price changes? a. Pricing adjustments, both up and down, are made by all retailers in response to market conditions. b. To meet the demand for popular items, we reorder them from our suppliers around the world. We are thus subject to price fluctuations caused by the weakened Rand, together with other inflation costs on the same item. c. During our special offers, additional red price stickers are often added to the original price tag to identify items that are discounted. d. Occasional errors and system shortfalls can also result in the pricing on our products being incorrect and/or unclear. Why does a single price tag carry multiple price stickers? What does the Consumer Protection Act (CPA) say about this? Even though every seller is within their rights to fairly adjust their prices, the CPA states that if two prices are visible on a product and the seller has not made an adequate attempt to mark out or remove the old price, the consumer has the right to pay the lower price. What do I need to take into store to replace my account card? Take your ID document into store to replace your account card. What documents do I need to take in store to apply for an account? You will need copies of your past 3 months payslips, 3 months Bank statement, ID document and proof of residence. How long before my account application is approved? 2 to 3 working days. Should you not receive any feedback, you can contact the new accounts department on 011 891 8011 to query the status of your application. Do I have to go into a store to open an account? My Account card was stolen. How do I block it? Kindly contact our accounts department on 011 891 8000 and you will be assisted immediately. Can I change my payment plan from a 12 to a 6 month plan? How do I see how many Thank U points I have? You can view your points balance here. You will need to be registered on Edgars.co.za and have linked your Thank U card to your online profile. How can I see how much I need to pay? You can see what you need to pay here. You will also be able to view your current balance, how much credit you have available to spend and your credit limit. Reference Number: Your 19 digit account number. Ypur account number can be found on the top right of your statement, or you can find your account number here. If you have not linked your Thank U card to your online profile, you will need to do this first. How do I replace my club card if it is lost or stolen? Kindly visit your nearest Edgars store, where you will be provided with a new club card. The store will then call head office to have your old club card details transferred to the new one. You will then wait 48 hours before you are able to use your club card again. Do I need to be an account holder to join Edgars club? Yes, as this is a benefit available to account holders only. How long before I can use my club card? Once your club card has been activated, you will then need to wait for 48 hours before you are able to use the benefits. How many club cards am I allowed to have? You are allowed to have a maximum of 4 club cards, each need to be activated and paid for separately. How do I go about activating the Ster-Kinekor benefit on my club? All you need to do is visit your nearest Ster- Kinekor and pay a once-off activation fee of R30.00. How many movie tickets do I get a discount on? You can only get two movie discounts per day, regardless of the amount of club cards you have. How do I activate my Hollard gift card? Kindly ensure that you have the letter enclosed with your gift card as it has all the details we require to activate your club card. Provide the following details: Gift card number, Id number, Date on the letter (month and year), Amount on stated on the letter and lastly your Name surname and contact details. Forward these details to the gift card department: Click Here or contact our customer experience team on 0800 20 39 25 and you will be assisted accordingly. Can I Use my Edgars gift card at any other store within the Edcon group? Yes, your gift card will expire after a period of 3 years, however, you are unable to have the amount transferred to a new gift card. How can I contact Edgars Head office? What are the banking details to pay my account online? Reference number: this will be your 19 digit account or card number. The Beneficiary Reference is your account number, which can be found on your statement.